READ ONLY IF YOU HAVE SEEN THE MOVIE!! Forty years ago, we were introduced to terror, to horror, to a monster. In 1978, we were shown that the Boogeyman does exist. And now he has come back. Halloween is a sequel to the original movie created by John Carpenter that terrified audiences in the Fall of 1978. The movie reunites the original main cast with Jamie Lee Curtis reprising her role as Laurie Strode and Nick Castle as Michael Myers. Before we begin, it should be noted that this film is a direct sequel to the original, retconning all the other films. Halloween picks up following the events if there first film with Michael spending forty years locked in a maximum-security prison after being shot by Samuel Loomis and captured. During that time, long survivor of the 1978 Haddonfield murders Laurie Strode has been preparing for Michael’s return. Suffering from PTSD, she had fortified her house into a fortress designed for one thing – killing Michael Myers once and for all. Halloween goes back to basics with Michael Myers doing what he does best – murder. Nick Castle shows that he still has what it takes to portray an unstoppable killing machine (although the stunts were performed by James Jude Courtney). Michael strolls into the home of unsuspecting people with ninja like stealth and then proceeds to fillet his victim with no hesitation. Michael was never an “over-the-top” killer like say Freddy or Jigsaw. He keeps it simple – kill them quick and keep it moving. And that’s what makes this Halloween film enjoyable. Everything is kept simple. There was no need for anything elaborate like bashing someone repeatedly with a sledgehammer or shoving them through a wood chipper or smashing their head with two giant blocks of ice using some crude Rube Goldberg contraption. The kills were kept simple and it works for this film. There are moments in Halloween that recall to the original film and takes elements from past entries. One is Allyson Strode who, after encountering Michael Myers, runs through the neighborhood banging on doors and screaming in terror. This scene is similar to Jamie Lee Curtis after her first encounter with Myers. Another is when Myers goes on a killing spree at a gas station to reclaim his mask, which is a recall to the same events occurring in Halloween 4: The Return of Michael Myers. These elements illustrate the homage Halloween pays to the original film. Perhaps the smartest decision was getting Jamie Lee Curtis back into the role of Laurie Strode, the lone survivor of Michael’s 1978 massacre in Haddonfield, Ill. Building upon her diagnosis of PTSD from the second film, Laurie has isolated herself in the outskirts of the town and has spent the last four decades preparing for Michael Myers inevitable return. Jamie delivers an amazing performance as a woman who has suffered through a lot and coping with her trauma in her own way. This is vastly different from her character in the 1978 original and 1981 sequel “Halloween II”. Curtis reprised her role for “Halloween: H20” and “Halloween: Resurrection”, in which she was subsequently killed by Michael Myers. Jamie Lee Curtis gives us a strong lead female character which is rarely seen when it comes to the horror genre. 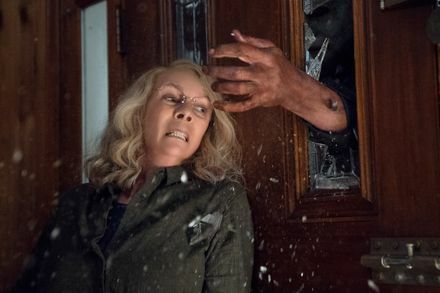 With all of this, the new Halloween film has the potential to put the franchise back on top after a string of subpar films following “Halloween III: Season of the Witch”, the only film in the series to not feature Michael Myers. It is a well written call back to what originally made horror films fun to watch in the first place and what made Michael Myers a horror icon. Back to basics! Myers serves up the kill count the best way he knows how. Halloween is directed by David Gordon Green and written by Green, Jeff Fradley, and Danny McBride, with series creator John Carpenter serving as a composer, executive producer, and creative consultant. 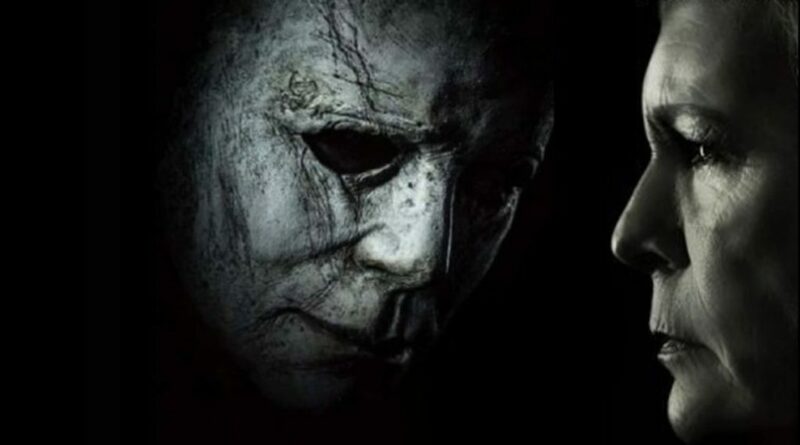 The film stars Jamie Lee Curtis as Laurie Strode and Nick Castle as Michael Myers, with Judy Greer, Andi Matichak, Will Patton, and Virginia Gardner.